So did you give the photo prompt a go yesterday? Right, where was I? Ahhhh, yes, the goals…..
I’m afraid, I failed miserably 😦 My reason? I had to have my dog put to sleep on Wednesday night (the 9th). It was fairly sudden, she became ill over the weekend, vet gave her antibiotics for a chest infection (she was having trouble breathing) and by Wednesday night we ended up at the emergency vets, where an X-ray confirmed a tumour on her lung. Too large to operate on and causing her distress. Always a difficult decision, but we didn’t want her suffering any longer. The vet said it was only her spirit that was keeping her alive. She was 12. 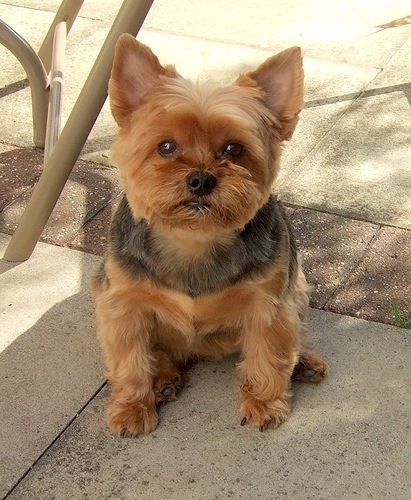 My darling Georgie, I will miss you so much….the house feels so empty without you….but, I know I have to pick myself up, carry on, because I know you’re somewhere, reunited with Bill (our Shih T Zu who died of a heart attack in 2010). I know in my heart that one day I will see you again. *blows nose and wipes eyes* Does how you feel emotionally affect your ability to write? It feels like I’ve just been plunged into a dark space, and I’m finding it hard to focus my eyes. Oooo, that sounds a bit dramatic doesn’t it….I’m fine really. The rest, I’m afraid, didn’t get tackled….however, I did print all 202 pages off. I find it much easier editing it when it’s on paper in front of me. Yep, so guess what the plan is this week? What are you hoping to achieve this week? And how about editing Do you do most of it on the PC or print off and use the red pen? This entry was tagged Editing, Goals, Spell checker, To Do List, WIP, Writer, Writer Resources, Writers Resources, Writing, Writing Exercises, Writing Goals. Bookmark the permalink. I’m so sorry about Georgie. Losing a pet is incredibly hard. No one would blame you if it takes a while for you to be able to get back to a routine. I’m so very sorry for your loss. It’s always heartbreaking to lose a companion animal. Well a loss of a pet can be a bit hard, and a bit of a distraction. Sorry to hear about that. I do my editing onscreen where possible. The hardest thing is to read through a section then edit, not edit along the way. I likely mentioned it before, but Scrivener helps a lot in this regard and you can easily compare several drafts within the same project. I better not. I’m not sure I’ll get them done. Awwww, I’m dabbing at my eyes right now. 😦 What a sweet little dog he must have been. Losing a pet is so tough, but it does really help to think of them in a happier place. It would be hard to write or do much of anything after such a blow. But you asked about editing. I print off everything I edit, even to the point where I type in one round of edits, and print off the next revision and edit again. The nice thing about hard copy is that once you move the words around, (and I literally move them by cutting the page into the sections I want to move) you can’t accidentally type them twice. And I also like handwriting the new material that goes in between. Good luck with the editing this week! Don’t be so hard on yourself, it’s got to be difficult to get back on track after such a sad event. Ahhhhh, a woman after my own heart!!!!! I think I’d go cross eyed editing on screen lol. I’m so sorry to hear about your lovely little friend. I dread the day – after seventeen and a half years, I can’t imagine the hole. Emotional upset always impacts writing – sometimes for ages. Go easy on yourself. So sorry about George! I have two beautiful dogs so I can’t imagine how you must be feeling but commend you for “getting on with things.” My goal this week is to write more on my book and to work on a short story I’m struggling with. It seems I neglect them sometimes because of blogging which is not good! Best of luck to you, Vikki! Ha ha ha….yeah, I have to admit, my writing often gets neglected due to blogging lol. 😦 I’m so sorry to hear about your loss. It’s so hard to loose our four-legged friends. Thinking of you and sending hugs.